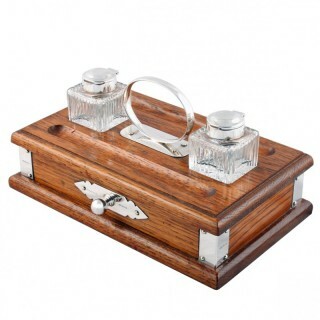 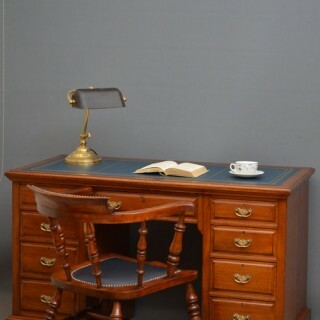 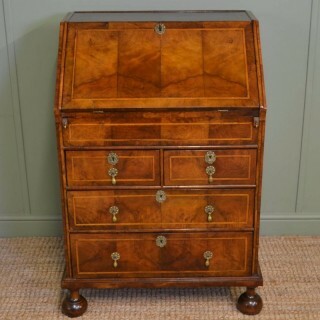 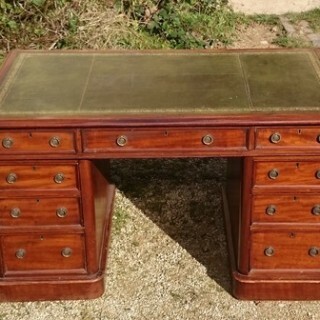 If you are feeling studious or simply inspired to redecorate your office, take a look at the rich selection of antique desks and writing tables sourced by our members for you. 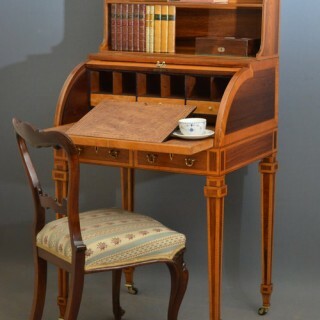 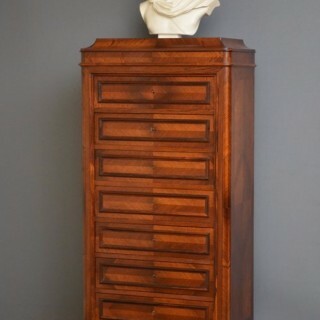 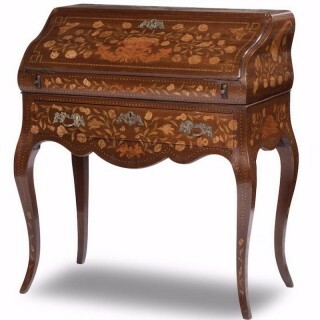 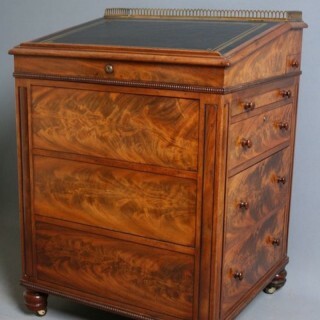 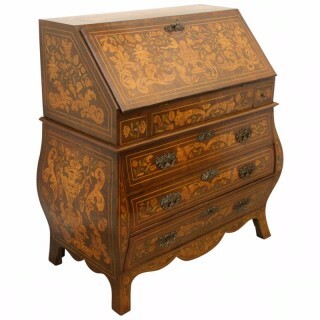 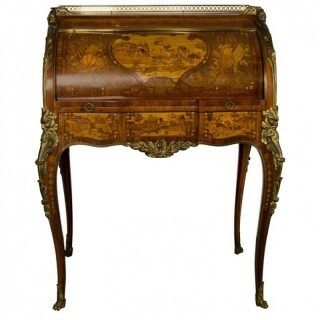 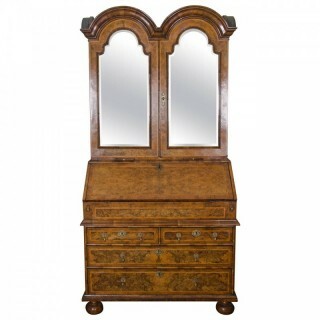 Whether your taste is for marquetry, parquetry, satinwood or mahogany, browse a variety of antique bureau, roll top desks, keyhole desks, trumeau and secrétaires made by expert craftsmen in 18th and 19th century France, England and Europe. 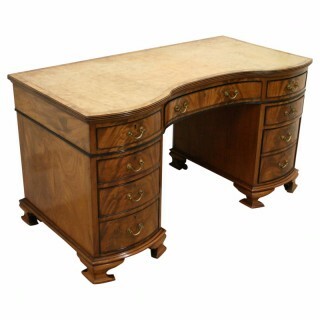 All of our members being experts in their field and respected by their peers, you can acquire the items on this website confident in the fact that LAPADA membership assures quality and authenticity for each item. 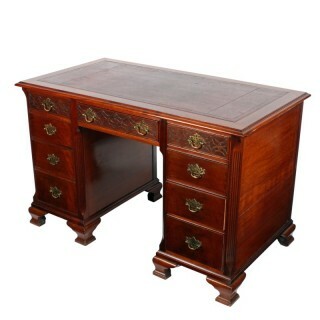 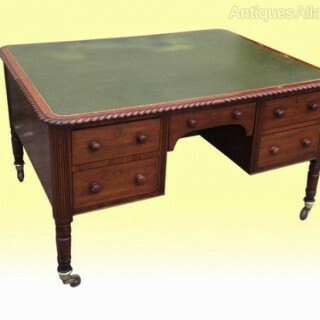 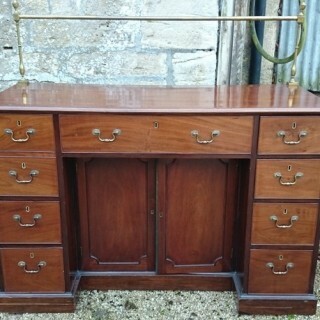 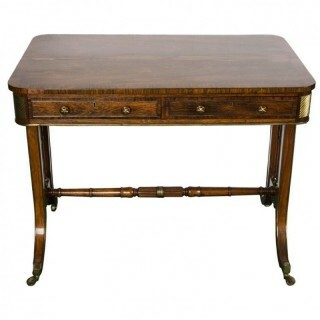 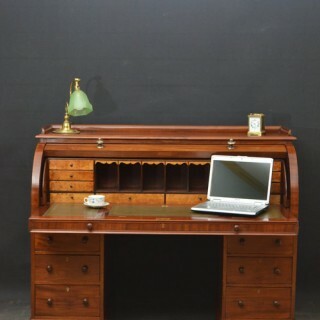 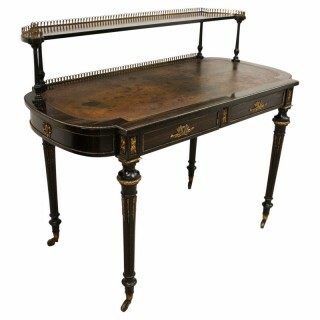 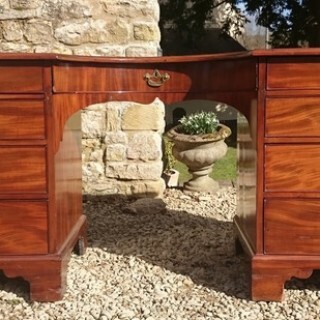 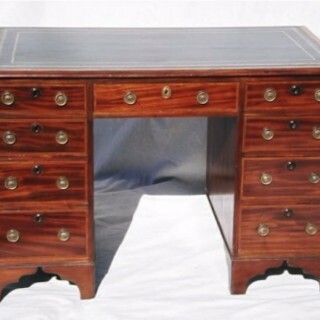 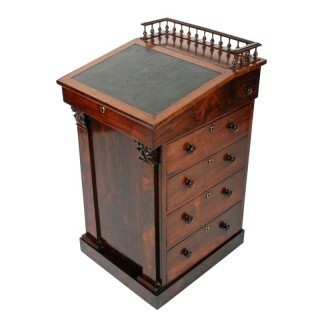 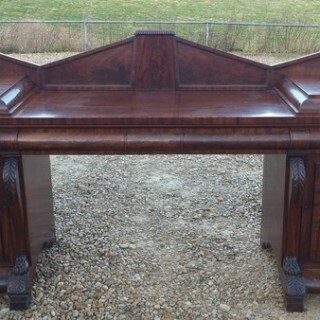 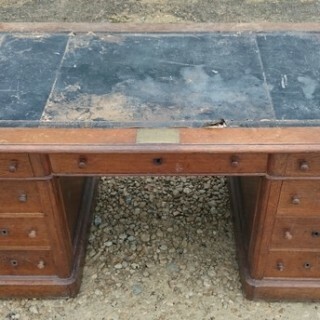 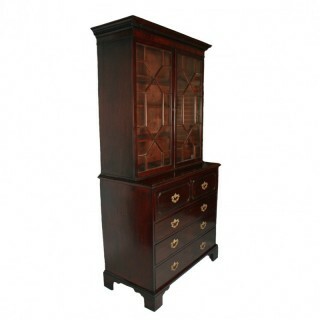 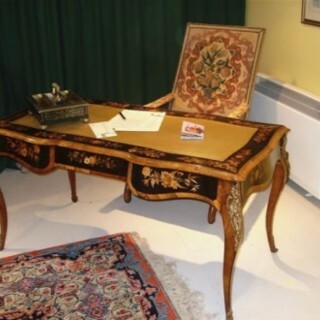 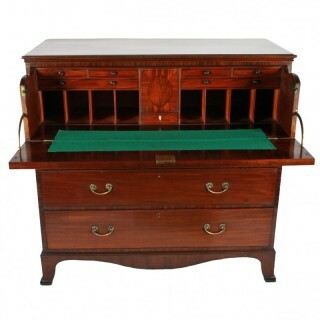 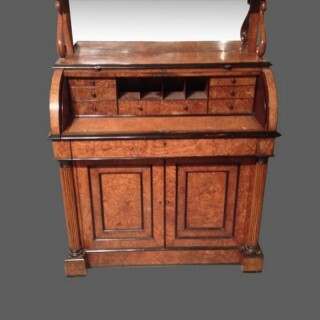 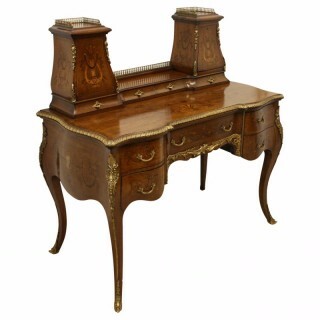 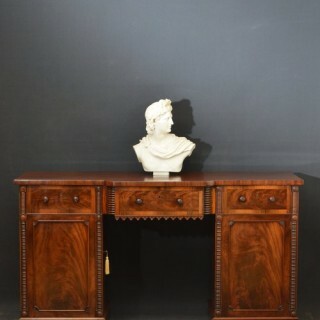 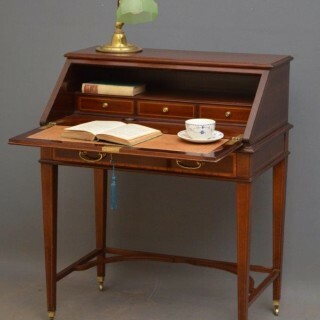 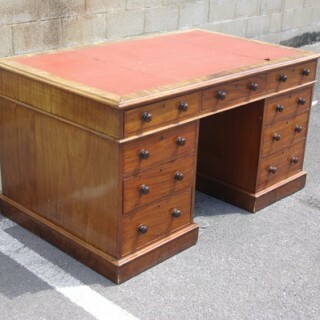 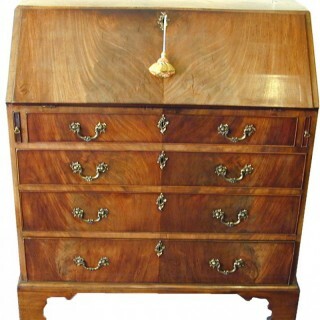 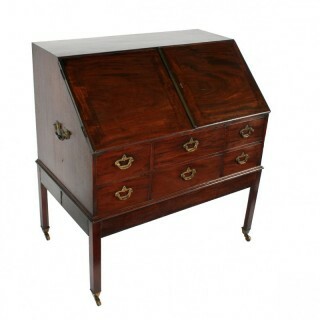 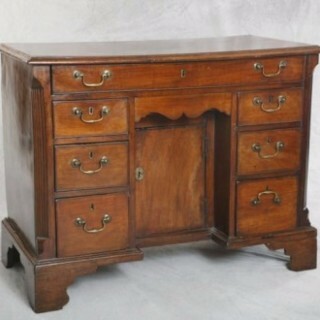 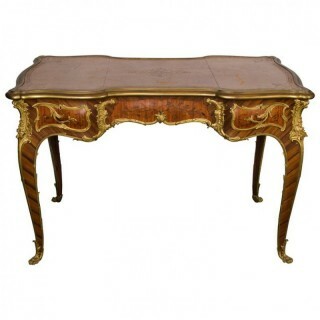 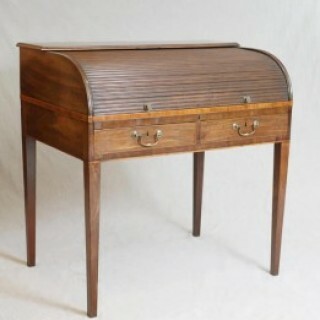 rare period antique irish regency mahogany partners desk of wonderful proportions.